The Coal Loader Centre for Sustainability is situated close to Balls Head Reserve in Waverton in North Sydney. It is such a great place to enjoy a little walk amongst historical buildings, community gardens, aboriginal bush setting and the foreshore. You can walk from Coal Loader to Balls Head Reserve traversing the largest bushland remnant in North Sydney. We loved our visit at Coal Loader last week, the centre has a relaxing atmosphere which is very welcoming especially when so close to the city. It was nice to walk amongst the trees, the community garden and the community nursery were nice to explore. Little Miss was fascinated with the beehive and the bees passing by the plants in the community garden. 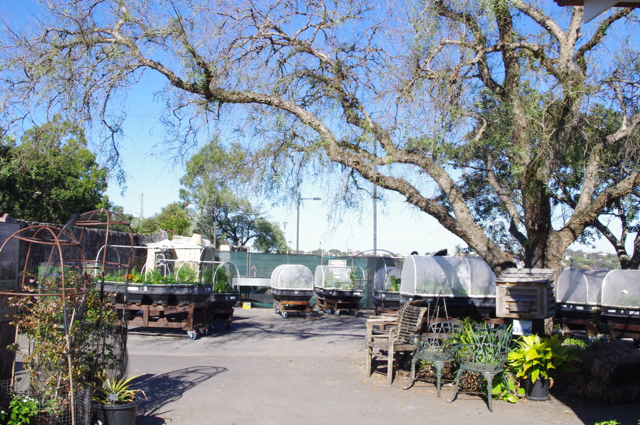 The community nursery is also nice however not as pretty as the community garden as the nursery is a working nursery. We saw some aboriginal bush food on our way to the centre as well as rock engraving near the beautiful Powerhouse building. The most impressive feature of the Coal Loader Centre is the Wharf on the foreshore, great for pics too! We took the lift down and little Miss and her brother loved looking at the boats nearby and the Navy ships across the water working away. The 160m coal loading tunnels are quite impressive too, we did not go all the way through however because of water dripping from the ceiling and the kids were a bit scared of the dark tunnel. Only one tunnel is open at this stage due to construction work onsite. We took the lift back up one level and were pleased to see the Chicken Yard which is home for 10 chickens although the poor things are in the middle of works as the centre is undergoing some construction work for the new Coal Loader Green Roof Project due November 2017. The Green Roof Project is nearly 75% complete and will be a site where individuals, groups and a new community garden group can grow their own food. Up to 250,000 litres of collected stormwater will be filtered through ‘raingardens’ established in the old coal loading chutes and stored in one of the old tunnels beneath the platform to irrigate ‘urban harvest’ plots of vegetables, fruit trees, aquaculture. How exciting! To finish our visit, we relaxed at the Coal Loader Café (only open Wednesdays to Sundays) overlooking the foreshore and enjoyed some cute cookies. The center is kid friendly, pram friendly and dog friendly - everyone can enjoy some relaxing time at the Coal Loader Centre. There are toilets near the café and highchairs at the café. You can take your pram and walk around the centre and taking the lift makes it easy to go down to see the chickens, the tunnels and foreshore. There is very limited parking near the centre, we managed to grab some parking on Balls Head Drive just after it opened at 9am during the week. 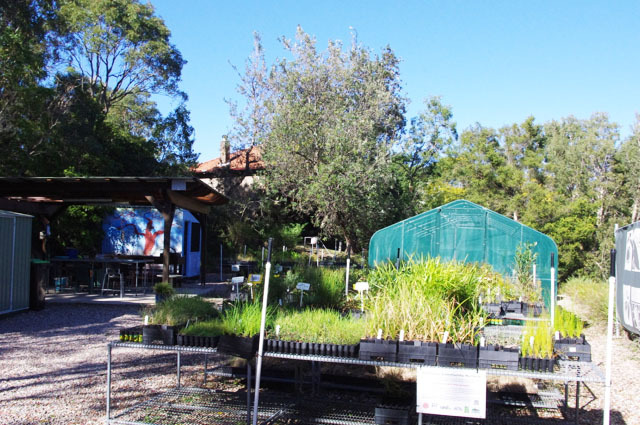 The Coal Loader Centre for Sustainability is located at 2 Balls Head Drive, Waverton. For more information, head to their website.